#BlackFilmPirate app launched on Talk Like A Pirate Day September 19, 2018! 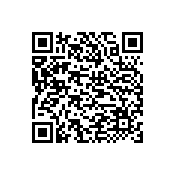 1) Access our Black Film Pirate App with the following QR Code. 2) Read our story below and fill out our form as either a Creative or a Film Enthusiast. 3) On our form leave us a Message In A Bottle. Did you visit the app? We’d love to hear from you as we begin this journey! Black Film Pirate is an App that protects the rights of films and filmmakers prominently featuring cast and crew of color from an age-old industry myth: "Black films don't sell overseas." Hollywood created this tale to block international distribution and profits of wide-ranging films and multi-dimensional stories told from a different perspective. Join our Voyage! Sign up with us by clicking here. Since the Hollywood industry began recognizing how much it survives on its international box office receipts, speaking the phrase "Black Films don't sell overseas" has been a successful effort on their part to keep thousands of films from people of color off the map. Black Film Pirate intends to rescue an entire industry from itself and share the wealth of our multi-cultural experience across the seas and beyond. Want #BLACKFILMPIRATE MERCH? just click on our tees! We’re brave. We’re Pirates. Our motto: “If you fear it, film it.” Heck ya! Click Here to read my real life pirate story! With #BlackFilmPirate you'll discover an entire library of films meant to be seen! Black Film Pirate (#BlackFilmPirate) was inspired by filmmaker Nicole Franklin's response to a nonsensical phrase she has heard throughout her nearly 30-year career in the industry and Nicole's praise of filmmaker and Shadow and Act founder Tambay Obenson's impressive article (http://bit.ly/2zlsxKO) which states "Meanwhile, I have friends, family and acquaintances in countries like Nigeria, Cameroon, parts of the UK, France, Germany, Spain, Russia, parts of Asia, the Caribbean and South America, who are buying American-made bootlegs of a lot of these black American films. Why? Not because they’re a cheap bunch of people, and don’t want to spend the money to see these films in theaters. The problem is, these films aren’t being officially released in those countries for these folks to pay to go see them in theaters in their individual countries.There’s a lot more to be said here; it’s not so black & white an issue…"
Our app, Black Film Pirate, is in development and will launch September 2018. Let's fill the catalogue by signing up at the link. We'll launch the app and begin a one-of-a-kind adventure.